hair salon, etc. And readily accessible to public transportation. local government, numerous restaurants and U.S. Highway #19 bypass. This entry was posted in Member Announcements on June 13, 2018 by Albany Member. the consummate gardener within the city limits of Albany, GA.
restrooms. Farm could also be used for an agricultural program training site. beauty of nature and a sparkling pond. with a lighted parking lot. Why: We are hiring! Aspire is looking for you! We are hiring full and part time positions in our service area. Come by the job fair, meet staff and discuss job openings, qualifications and responsibilities. Come join our ASPIRE TEAM!!! Aspire BHDD Services offers a competitive compensation and benefits package as well as a robust Employee Assistance Program (EAP). Aspire BHDD Services is a National Health Service Corps (NHSC) participating provider site. The NHSC offers financial and other support to primary care providers and sites in underserved communities. This entry was posted in Member Announcements on November 7, 2017 by Albany Member. CTSI, an IT Services company, announced today that they will host partner Uday Ali Pabrai, a world class cyber security expert, to provide the Certified Cyber Security Architect (CCSA) certification course in Albany, GA. The training and certification exam will be offered on November 17th at the Bridge House. Ali Pabrai, MSEE, CISSP (ISSP, ISSMP), CCSFP (HITRUST), Security+, a cybersecurity & compliance expert, is the chairman & chief executive of ecfirst. He has successfully delivered solutions to U.S. government agencies, IT firms, healthcare systems, legal & other organizations worldwide. Mr. Pabrai served as an Interim CISO for a health system with 40+ locations in the USA. He has led numerous engagements worldwide for ISO 27001, PCI DSS, NIST & HIPAA/HITECH security assessments. ecfirst is an approved HITRUST CSF assessor & a PCI Qualified Security Assessor. Mr. Pabrai is the co-creator of the Security Certified Program (SCP) – a program approved by the U.S. Department of Defense Directive 8570.1M and one of the industry’s most comprehensive hands-on information security certification programs. Mr. Pabrai has presented passionate briefs to tens of thousands of professionals globally, including the USA, United Kingdom, France, Taiwan, Singapore, Canada, India, UAE, Africa, Saudi Arabia, Philippines, Japan & others. Conferences where he has been featured include HCCA, ISACA CSX, HIMSS, InfraGuard (FBI), ISSA, HIPAA Summit, Google Privacy & Security Summit, Microsoft Tech Summit, Internet World, DCI Expo, & dozens of others. Mr. Ali Pabrai was appointed and serves as a member of the select HITRUST CSF Assessor Council and is a proud member of the U.S. InfraGard (FBI). Tammy McCrary, CEO of CTSI, feels this is a critical time for businesses throughout SW Georgia to be informed on issues surrounding Cyber Security. The size of the company is not important to cyber criminals, evidenced by the recent attacks on Equifax, Deloitte, and Augusta University Medical Center. While we hear about the attacks on large companies most often, plenty of small companies are attacked as well. It is CTSI’s goal to be the number one resource on cyber security in SW Georgia. The CCSA focuses on the Cyber Security Framework, Security Incident Management, Vulnerability Assessment & Penetration Testing, Essential Cyber Policies, Encryption, Establishing a Cyber Security Program. This information is invaluable for compliance professionals and managers, security officers, security practitioners, privacy officers and senior IT professionals and anyone else involved in the overall security of an organization impacted by compliance regulations. This special opportunity is brought to you by CTSI. For more information, contact Beth Brown, CHP, at 229-446-9641 or elizabeth@ctsioutsourcing.com. This entry was posted in Member Announcements on October 17, 2017 by Albany Member. As the orchestra commences its 54th season, it is hard to believe that I am beginning my 30th season as a part of this amazing community and organization. I am genuinely invigorated by our upcoming schedule of concerts and events. Don’t miss a note! Join the Albany Symphony Orchestra for a percussive explosion, Bernstein, Beethoven, Peppermint Pops, Mendelssohn, youth violin virtuoso Hannah White, Georgia native composer T. J. Cole, Amy Beach, our outdoor Pops concert, “Swinging on the River,” Ellington, and so much more! Be a part of the excitement of live symphonic music performed by your Albany Symphony Orchestra. This entry was posted in Member Announcements on August 1, 2017 by Albany Member. 2.) 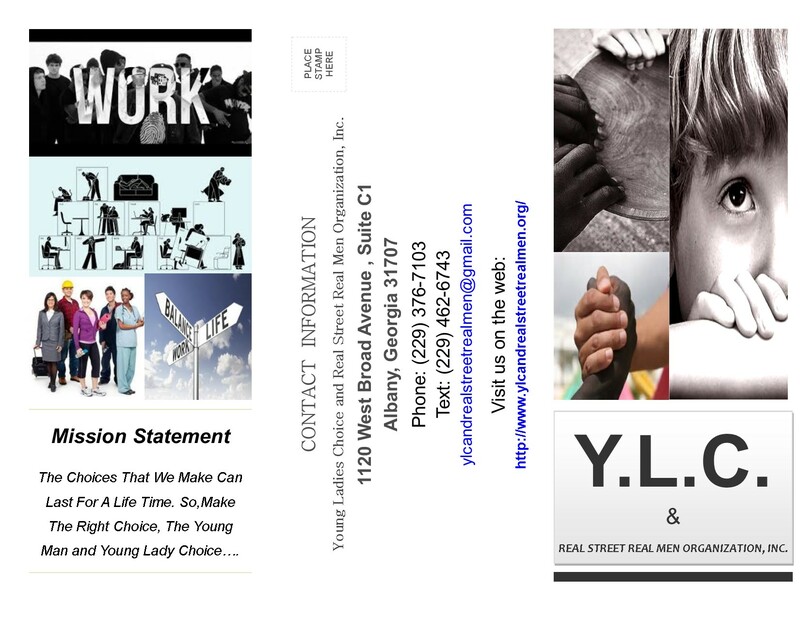 Sign up for Y.L.C. Business to Business Program. If you are a potential business owner in need of a business location to start your business, please sublease an office at 1120 West Broad Avenue, Ste C1 to start your dream and business adventure for as low as $185 or more a month. All proceeds will support our programs, services, and campaigns. In return, we will help you with your business needs and dreams. Please call Y.L.C. at 229-376-7103. 4.) Purchase a $15.75 Five Star Dinner Plate Meal Ticket from Y.L.C. and Real Street Real Men Organization, Inc. by calling 229-376-7103. Pick Up Your Dinner Meal From Dunbar’s BBQ & Soul Food located at 1104 W Gordon Ave, Albany, GA 31707. Monday – Friday 3 PM–5 PM / Phone Number (S): (229) 376-7103 or (229) 435-3535. This event will support our Anti-Violent and Anti-Bullying Campaign Events in the community, our after school and summer enrichment programs, and etc… You must purchase a ticket from Y.L.C. before purchasing a meal. This fundraiser will last from July 19th 2017- September 19th 2017. We thank you for supporting our cause of making a difference in our community. The choices that we make can last a life time, so let’s make the right choice, the young men and young ladies choice. This entry was posted in Member Announcements on June 21, 2017 by Albany Member. There is a new nonprofit company in Southwest, GA., and we are striving to make a huge difference in the lives of at risk families, potential business owners, and children. Locally, nationally and internationally, ” The choices that we make can last a life time, so make the right choice, the young ladies and young men choice” is our nonprofit company motto as we take huge strides to help families, youth, business owners, and communities partner to make better choices in life due to our special events, community classes, after school and summer enrichment programs, and more. All of our programs, services, and events will be centered around the concept of stopping violent behaviors and anti bullying concerns that lead to suicide, health issues, and isolation. Young Ladies Choice & Real Street Real Men Organization, Inc. purpose is to provide a safe haven to help at risk kids academically, gender related mentoring services, & economically, to cultivate an integrative, cultural, & collaborative learning environment, to promote healthy and safe families, to support nutritional, health and wellness activities, to encourage anti-violence & intervention programs, physical, emotional, financial and spiritual identity & etc… Let’s strive together as a community to make a positive difference in the lives of people in our community. 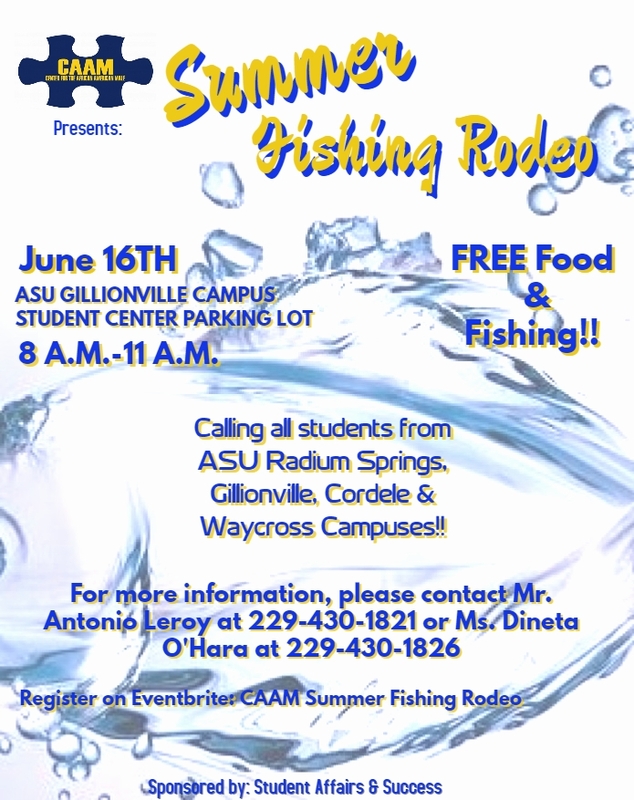 High school and college students looking to cast their lines are invited to participate in the Summer Youth Fishing Rodeo. The free event is set for 8 a.m., Friday, June 16, at Albany State University 2400 Gillionville Road Campus. This entry was posted in Member Announcements on June 16, 2017 by Albany Member. 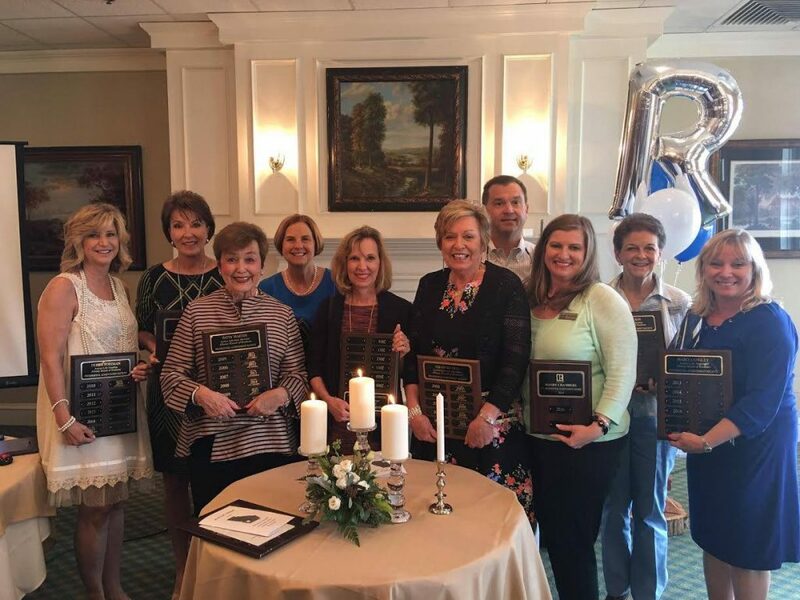 The Albany Board of REALTORS recently had their annual Awards Banquet on March 30, 2017. We would like to recognize and congratulate the Presidential Achievement Award Winners from the Albany office. We would like to give a special congratulations to Marci Langley who also won REALTOR of the Year! This entry was posted in Member Announcements on April 25, 2017 by Albany Member.